In an op-ed last week in Entrepreneur magazine, Brian Jones, founder of PR firm Nuts and Bolts, asks, “Does it matter what motivates business philanthropy?” Jones argues that it does not—as long as businesses are giving back, regardless of whether they’re truly altruistic or simply doing it for positive press, the result for the community is the same. 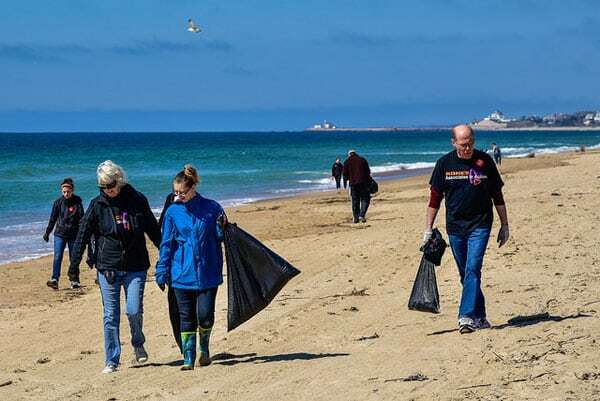 Let’s say a company participates in a beach cleanup for selfish reasons—so they can look good on social media. The beach still got cleaned, right? Their not-so-noble reason for action still helped the environment. Should that business not perform deeds like these because their motive is not entirely altruistic? Over the past few decades, corporate community engagement and corporate social responsibility (CSR) has been moving in a positive direction—from its infancy focused on legal and environmental compliance, to slightly more-mature realization of CSR’s branding and PR benefits (and the world in which Jones’s argument lives), to a now more enlightened approach with companies considering social impact as part of their core service, product creation, and measurement. CEOs and companies are increasingly taking positions on social issues from which previous generations would have shied away. Larry Fink, CEO of BlackRock, one of the world’s most influential investment firms, announced earlier this year that his firm would assess investments and companies on the positive social benefits they create. Now, we acknowledge that the business community has a long way to go before social and community engagement are a true part of its ecosystem—and Fink will need to demonstrate that his letter is more than just words. Still, Jones’s argument surfaces a dated mindset that moves us back to the thinking that dominated a more transactional approach to philanthropy, which can ultimately be damaging to nonprofits. When corporate philanthropy and volunteerism are driven primarily by a company’s PR motives, the engagement is episodic and randomized by design. It increases in times of business expansion, challenge or scandal, decreases when a specific region or cause is no longer of interest and can cause whiplash to the nonprofits that are absorbing these whimsical resources.